In 2017/18, Head Coach Ruan Ackermann arrived from the Lions with high expectations, which he rode as his side finished 7th. Can Gloucester break into the top four? Josh Bartholomew asks the question. Last Season: In securing Kingsholm’s first taste of top-tier European rugby since the 2013/14 season, Gloucester managed to adapt to their new coach while still securing continental rugby. The squad appeared to be slightly short of quality, but Champions Cup qualification was a just reward for Gloucester’s fine campaign. Recruitment Rating: Ackermann’s first off-season at the club has been a successful one – Gloucester have appeared to find the perfect balance between stability and star signings. They have managed to pick up quality players in Danny Cipriani and Matt Banahan, while not ignoring previous weaknesses. The fact that a number of squad players have left the club (the majority have been replaced) means they will have to settle for 9/10. Strengths: Gloucester’s forward pack is one of tremendous quality, with experience throughout the scrum. The new recruits will complement Gloucester’s barraging young back-rowers successfully. Director of Rugby David Humphreys can also boast of great depth in the halves – something which is always important in a league where playmakers are so important in controlling matches. Weaknesses: That said, Gloucester do look slightly lacking in firepower from their outer backs, and it appears that they will be heavily reliant on Jason Woodward and Matt Banahan for tries from the backline. Danny Cipriani will have to create numerous scoring opportunities himself for a group of backs which may require assistance. 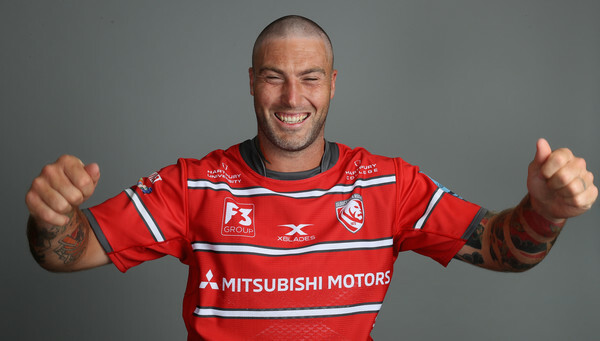 Key Man: Although the signing of Cipriani was both eye-catching and required, Matt Banahan has a key role to play if Gloucester want to march up the table. Banahan is an extremely versatile player – often appearing across the backline for Bath – and will have to cover the wings and centres during international periods. Young gun to watch: Despite Gloucester’s set of wingers being among the weakest in the Premiership, this could benefit Ollie Thorley as he seeks more game time. Thorley became Gloucester’s youngest debutant when he played aged 17, but he has found himself short of opportunities since. Ben Vellacott will also hope to expand upon his breakthrough season where he joined an England training camp. Prediction: Gloucester’s recruitment was near perfect, and they were adding to an already successful squad. If they can develop Kingsholm into the fortress it threatened to be last season, they will easily be able to threaten the high-flyers and finish 4th (losing semi-finalists). Ins: Matt Banahan (Bath), Franco Marais (Sharks), Jaco Kriel, Franco Mostert, Ruan Dreyer (all Lions), Danny Cipriani (Wasps), Gerbandt Grobler (Munster), Will Safe, Tom Hudson (both promoted from academy), Todd Gleave (London Irish). Outs: Ross Moriarty, Richard Hibbard (Dragons), John Afoa, Harry Randall (both Bristol Bears), Matt Scott (Edinburgh), Cameron Orr, Jeremy Thrush (both Western Force), Andy Symons (Northampton Saints), Tom Denton (Ealing Trailfinders), David Halaifonua (Coventry), Charlie Beckett (Jersey Reds), Ed Bogue (Cinderford), Moto Matu’u (London Irish), Elliott Creed (Doncaster Knights), Billy Burns (Ulster), Alfie North (Ayr), Jacob Rowan, Carwyn Penny, Mason Tonks (all released).